For those unfamiliar, the sacred stigmata is a special mystical grace given by God wherein the sacred wounds of Jesus are physically imprinted upon an individual–normally upon the hands and feet (although there have been cases of stigmata upon the wrists) –representing the nail wounds of Jesus, and often also a wound on the side of the individual, close to the heart, representing Jesus’ heart wound from the lance of the Roman soldier. In certain individuals, accompanying the “five wounds” there is also present the crown of thorns encircling the head, and also the shoulder wound representing where our Lord carried the cross. Additionally, there can be numerous wounds representing blows and the scourging that our Lord received. All of the physical conditions mentioned above can be present in a mystic individually, or together. As stated above, for most stigmatics the wounds are in the palms of the hands, however there have been a number of individuals throughout the history of the Catholic church whom have had the wounds upon the wrists–two relatively recent cases would be Fr. Jim Bruse of Woodbridge, Virginia, a Catholic priest who was reported to have received the stigmata the day after Christmas in 1991 until 1993, and also Georgette Faniel of Montreal, Quebec, who had the stigmata on and off from 1950 until her death in 2002. Looking farther back in history we note that St Francis of Assisi is also stated to have received the stigmata in the wrists. The purpose of the wounds is to draw and unite the chosen individual into a special union with Jesus in His passion, for the conversion of sinners and to make reparation for sins. Thus, individuals who are given the grace of the stigmata are always considered “victim souls” because they suffer in union with Jesus for the conversion of sinners. The stigmata wounds are normally visible however there are a good number of cases on record of invisible stigmata, which usually occurs when, out of a deep humility, the recipient asks God to make the wounds hidden, and in response to this humility God acquiesces to the desire, such as in the life of the American mystic, Marie Rose Ferron (1902-1936) and also Anne Catherine Emmerich (1774-1824). It should be noted that numerous mystics who have experienced both the visible and the invisible stigmata have emphatically stated that the hidden stigmatas are significantly more painful than the visible form, because there is in fact some relief of the pain when the wounds themselves bleed, and those whom have had their visible wounds bandaged have expressed this difference also. And in regards to the blood that comes forth from the stigmatised wounds, this writer has found that in almost every case that I have researched, there is reported an accompanying sweet, flowery odor that emanates from the blood itself. Maria sweat a great quantity of blood for five minutes and afterwards her bed sheet was soaked in blood. The stigmata wounds themselves are extremely painful, and at times certain individuals such as St Gemma Galgani have actually passed out due to the overwhelming pain of the wounds. Upon receiving the stigmata, Gemma described the pain saying: “I felt as if I was about to die”. For some, the stigmatic wounds suddenly appear–often on Thursday evenings and even more often during Lent and Holy Week, and usually they are accompanied with ecstasies/visions of the Passion of Jesus–and afterwards the stigmata will often almost completely disappear within 24-48 hours, only to reappear the following Thursday, often during Lent, and most especially Holy Week. A currently living stigmatic named Myrna Nazzour of Damascus, Syria only receives the stigmata on Good Friday when Easter falls on the same day for both the Orthodox and Catholic churches.Others however have borne the stigmata on a continual, permanent basis. History has shown that the stigmata can occur in a wide variety of persons, circumstances and conditions. While the vast majority of recipients have been women (90%), and most of them religious nuns, it has occurred numerous times throughout the centuries in a number of lay men and women, single and married. From the 1980’s to today for example it has (allegedly) occurred in the young married Catholic woman named Myrna Nazzour of Damascus, Syria and also in a retired married Catholic man from Michigan named Irving “Francis” Houle who died in 2009. Both of these persons have received the support of their local Bishops. Or again in the 1940’s there was married Ohio woman named Rhoda Wise who experienced an amazing conversion into the Catholic church and soon afterwards was miraculously cured and received the stigmata and who also received the support of her Bishop. “God was performing extraordinary miracles by the hands of Paul, so that even handkerchiefs or aprons that had touched him were carried from his body to the sick, and their diseases left them and the evil spirits came out of them” (Acts 19:11-12). We see this very same practice occurring today with “hankerchiefs” and other items that have touched the wounds/blood of a stigmatic being used to cure others, and are highly regarded as sacred relics by persons within the Church. Nevertheless, St Padre Pio, the apostle Paul and St Francis of Assisi are noteworthy also because of the fact that they are men, given that of the roughly 400 cases of those beatified or canonized persons within the Catholic church, 353 are women and only 54 are men–in other words, women have received the stigmata over men by a majority of almost 7 to 1. It is very important to note however that in all such persons, the Church itself does not authenticate cases of the stigmata, but only the heroic virtues practiced by the individuals whom were given them. Notable also is the fact that many whom have borne the stigmata died, like Jesus, at age 33–an amazing fact which can only be interpreted as a Providential seal upon the victim souls identification and union with Jesus. Some of the stigmatics whom like Jesus died at age 33 are St Catherine of Siena (1347-1380), Blessed Mariam Baouardy (1846-1878), Servant of God Domenica Lazzeri (1815-1848), Servant of God Louise Lateau (1850-1883), Teresa Musco (1943-1976), St Faustina Kowalska (1905-1938) who bore the invisible stigmata, Sr. Josefa Menendez (1890-1923) who bore the crown of thorns, and the American mystic from Rhode Island, Marie Rose Ferron (1902-1936). In regards to Marie Rose Ferron, while in ecstasy 7 years before her death she was told by Jesus that she, like Him, would die at age 33. When she came out of ecstasy she told those about her what Jesus had revealed concerning the age of her death, and the news quickly spread throughout her hometown of Woonsocket, Rhode Island and abroad. Thus when she died at age 33, her family and those who knew her were deeply saddened for having lost such a devout and kind soul, but were not surprised, having been forewarned 7 years earlier. Then too, how can those like Maria von Morl (1812-1868) who continuously bore the stigmata for exactly 33 years (note again the symbolic number 33) and St Padre Pio, who bore the stigmata for 50 years, not develop any kind of infection in the large, open wounds on the hands, feet and side over the course of numerous decades? How is it that there has never been a documented case of infection in the wounds of any of the hundreds of known stigmatics? At the same time, how can anyone explain the amazing speed at which St Gemma Galgani’s (and many others) stigmatized wounds would heal each week? Beginning on Thursday evenings, Gemma would be drawn into ecstasy, and would soon develop the crown of thorn wounds on her forehead. By Friday at noon, she would have the stigmata on both her hands and feet–large open wounds that would be bleeding profusely, with the sheets on her bed being completely saturated in blood. At 3pm on Friday, all of the wounds would stop bleeding and begin to close up, and by the next day (Saturday) the wounds would be completely healed with no scabs—in less than 24 hours, the only evidence of the large nail sized wounds the afternoon before would be a round whitish colored scar, as witnessed and testified by numerous people on many occasions. Those interested in the testimonies and drawings of St.Gemma’s stigmata can find them here. Additionally, in the case of the Italian mystic and stigmatic Teresa Musco (1943-1976) for example, there is photographic evidence in the possession of her long time spiritual director, Father Franco Amico, of Teresa holding one of her stigmatised hands up to a window, and one can clearly see the light shining through a complete hole, clear through her hand. Of course, under normal circumstances such an open wound would normally involve prompt medical attention due to severe loss of blood, and also for the prevention of infection, but such was never necessary concerning Teresa’s stigmata, or any of the other stigmatic’s this writer has ever read about. In fact, one can clearly see in the photo to the left the extensive size and severity of Teresa’s stigmatisation. At most, loose fitting gloves have sometimes been worn by certain stigmatics, primarily to hide the wounds from curious onlookers, but the application of antibiotics and extensive bandaging never proves necessary. How could it be possible that such wounds would not become infected in the persons who have borne them on a continual basis for years? The answer is simply that they are not ordinary wounds and they do not originate from ordinary means–they have their origins in God and are sustained by Him. Those who research the stigmata soon discover that it is primarily a Catholic phenomenon and that there are very few documented cases outside of the Catholic church. Nevertheless we can provide a few cases here. Firstly what is most interesting in the cases of stigmata that have occurred outside of the Catholic church is how closely they often resemble in the basic facts the ones that have occurred over the centuries within the Church—but in almost every case there is one major difference: In the vast majority of the cases outside of the Catholic church the persons whom have received the stigmata soon begin public healing ministries wherein there is the “laying of the hands” upon the sick or infirmed–in other words, they believe that their stigmata wounds contain healing powers and that soon after the reception of the stigmata they feel called to participate in public healing services. While the call to such a healing ministry has also occurred more recently with certain stigmatics in the Catholic church, such as with Irving “Francis” Houle, the Michigan stigmatist (1925-2009), who with his priest spiritual director, the author Father Robert J. Fox, traveled to many areas of the country and would lead a healing service after Mass wherein he would lay his stigmatic hands individually upon the faithful. Traditionally however, such a healing ministry has not been the practice of the vast majority of Catholic stigmatics throughout the centuries. Most stigmatics in the Catholic church have lived very hidden, quiet lives and during their lifetimes their stigmata is known to only a small number of individuals. According to Bernard Ruffin (Padre Pio –The True Story, Our Sunday Visitor,1991) one of documented stigmatists who was not a Roman Catholic was Elsie Nilsson Gjessing, a member of Central Lutheran Church in Minneapolis, Minnesota. Born in 1904. she received the stigmata as a child in Sweden, and it is said to have continued until her death at age seventy-nine. She has been described by one of her pastors as a sweet and humble woman, “so ordinary in every way.” She was allegedly gifted with many ecstasies and she was also one of the few married stigmatists. The wounds in her hands, feet and side were said to have bled copiously from Holy Thursday night until 3 P.M. on Good Friday. Additionally during Lent, Elsie was alleged to have experienced what she described as “’hellfire”, in which her body became so hot that cold cloths were placed on her in an attempt to cool her body temperature. Incidentally, this same phenomenon of extreme body heat was also experienced by St Padre Pio and documented by his physician, wherein upon taking the Padre’s body temperature on several different occasions, the thermometer would literally be pinned at its highest reading (of 120 degrees). Mrs. Gjessing herself has stated that the suffering and anguish that she experienced was “only a tiny little bit to let the world know what Christ went through. It is only a sample – just as small as a nail- that He lets me have.” In 1970, her pastor, Dr. Morris Wee, recorded some of her ecstasies. She claimed to have seen and spoken with Christ and her guardian angel, as well as with Martin Luther. Mrs.Gjessing, who like many mystics was ridiculed and shunned publicity, was also reputed to have been the instrument for many healings as she touched the sick with her stigmatized hands. Three years after this extraordinary event on December 8th she allegedly received the stigmata in her hands, and on the next day, the wound in her side, and on the 3rd day, the wounds in her feet. Not long afterwards she began a healing ministry which she continued until her death in 1963. The statement by Heather Woods physician leads us to another question concerning the stimgata— what medical studies have been done concerning the stigmata? There have, in fact, been a few individuals with the stigmata who have been studied by medical professionals. For example, St Padre Pio’s stigmata had been studied by at least five physicians during his lifetime–something for which Padre Pio, in his great humility, was not at all in favor of. In fact he would only allow the physicians to examine him if ordered to by his religious superiors. Dr. Georgio Festa was able to study Padre Pio’s stigmata quite extensively on one occasion because the Padre was under anesthesia for a necessary operation for a hernia. Other physicians to study Padre Pio’s stigmata over the years were Dr. Luigi Romanelli, the chief physician at Barletta City Hospital, Professor Dr Guiseppe Bastianelli, physician to Pope Benedict XV, a Pathologist–Dr Enrico Bignami of the University of Rome, and finally Dr. Alberto Caserta who took XRAY’s in 1954 of Padre Pio’s hands and found no abnormalities outside of the wounds of the stigmata. Essentially, a couple of the physicians came up with theories as to a possible medical cause of Padre Pio’s stigmata, but no conclusive evidence was ever discovered. To this day, Padre Pio’s stigmata, which he bore for over 50 years, remains unexplained by science. Even more interesting was the intense scrutiny that Louise Lateau’s stigmata had been subjected to by three physicians led by Dr. Lecrinier de Fayt. In the medical experiment, the Servant of God, Anne Louise Lateau’s hands were encased for two days in thick leather gloves, and sealed with ribbon and a special wax seal, making any external self-infliction completely impossible. Louise’s stigmata would suddenly open and bleed on Thursday evenings into Friday afternoon until 3pm. They would then close and heal within the matter of 24 hours. Knowing this fact, the physicians, “…after ascertaining that both of her hands were in a normal condition” they proceeded to encase and seal her hands at 4pm on Wednesday, applying first linen gloves, then leather gloves affixed with a ribbon five times around the wrist, and sealed with a wax seal. And incidentally, Louise Lateau was another mystic to die, like Jesus, at age 33. Those interested can read more about her in an article that I wrote here. One last significant note on the stigmata–when studying the lives of the stigmatics, we find that many of them received the stigmata after a very severe illness—and even more significantly after a miraculous cure—for example the reception of the stigmata upon the Servant of God, Therese Neumann (1898-1962) occurred after a miraculous cure through the intercession of St Therese of Lisieux, and again Rhoda Wise of Ohio who received the stigmata once again after a miraculous cure through the intercession of St Therese of Lisieux. Also, St Gemma Galgani (1878-1903) received her stigmata after the miraculous cure through the intercession of St Gabriel Possenti, and as we read above, Dorothy Kerin received her stigmata after a miraculous cure also. The recent stigmatic, Irving “Francis” Houle, had fallen off a horse at age 5 and was expected to die that night–but Jesus appeared to him in a vision and instantly cured him. 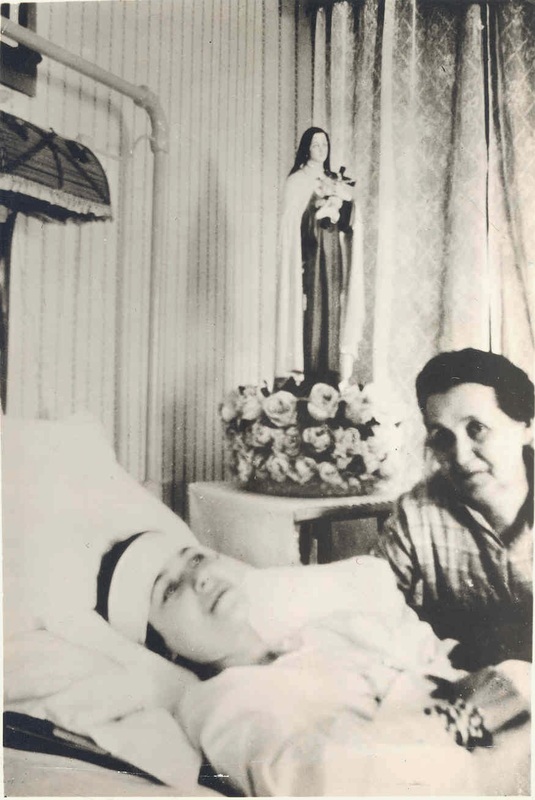 Blessed Mariam Baouardy (1846-1878) was twice miraculously cured by the Blessed Virgin Mary–once of blindness and another of injuries from a severe fall and finally The Servant of God, Maria Esperanza (1928-2004) was cured of a life threatening case of pneumonia by the Blessed Virgin Mary at age 12, just to name a few of the many. Hello, we had The Ambassador of Mary statue of Fatima in our house for a week last October. I took pictures of Her and when I uploaded it in my PC I was completely amazed and dumfounded to what I saw. Her head, face, hands, rosary, robe appears very obviously in a different position like it is a different statue. I was skeptic at first thinking it just the camera angle etc but concluded that is an explainable phenomenal and a miracle indeed. I will like to share the pictures to this site and also get the pictures authenticated since it was not photo shop or fake. He later sent me the photos as I requested of him. Hello Delai attached are the pictures. I stiched the pictures in a couple of photos for clarity and comparison sake and attached the original shots too. Please note the position of her head, hands, rosary and robe are all higher and also notice she have more stones on her crown too and the tears on her eyes and the flowers which seems bigger. I took the photos with only seconds interval. For the skeptics, please consider the image above as a guide thanks. In light of the recent articles about a purported Holy Grail in Spain, one of many throughout the world claimed to be the true one, the story about the humble “cup” possessed by St. Padre Pio seems especially relevant. In 2003, an Italian magazine made the spectacular claim that Padre Pio possessed the Grail, and had willed it to a Capuchin priest named Padre Cristoforo, from a nearby friary. As you can see from the pictures below, this is a truly humble grail, something that the Teacher of Humility might have actually used at the Last Supper. According to the article, Padre Pio wrote a letter to Padre Cristoforo, which has been authenticated. It reads in part: “To Padre Cristoforo da Vico del Gargano, I entrust the remaining humble secrets given to me by the Christian faithful…I leave you the small Greek vase belonging to the Apostle Peter, kept a secret by me because it was a gift from God to my father and a witness of the great light, guard it for the poor faithful”. It sounds incredible but could this little, humble cup actually be the chalice of the Grail? Well, it might not be the main chalice, but according to the visions of Anne Catherine Emmerich, the large chalice contained within it a small cup. Further, at the Last Supper, the Apostles consumed the Precious Blood from separate beakers, there were six of them. Emmerich’s writings state that the Precious Blood that remained was placed into the small cup, and that cup was returned to its place inside the large chalice. These relics eventually were distributed among the Apostles according to Emmerich, as reported in the fourth volume of her Life of Christ and Biblical Revelations. Padre Pio’s cup was recently on display in Rome along with other Padre Pio relics at a special exhibit. The exhibit will be travelling to the USA. It is coordinated by Alberto Festa, grandnephew of Dr. Giorgio Festa, Padre Pio’s physician and author of the classic book on his stigmata. 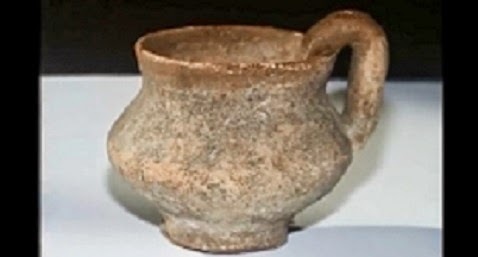 Festa’s researches have established that the cup dates from the time of Christ. A book has also been written in conjunction with the exhibit, see link. That original posting from 2003 is still there on my web site at this link, with an important update about this exhibit. In view of the letter by Padre Pio with its reference to St. Peter and veiled reference to St. Francis, the authentication of the letter and of the age of the cup, and in light of Emmerich’s revelations, I conclude that there is an extremely high probability that the “humble cup” of Padre Pio was actually used on Holy Thursday, and did contain the Precious Blood consecrated by Jesus Himself. DETROIT, July 26, 2015 (ChurchMilitant.com) – ChurchMilitant.com was clandestinely on the scene at the unveiling of the satanic statue in Detroit Saturday. After discovering the location — an abandoned bank on the corner of Grand River and Warren in downtown Detroit — staff started arriving at the venue in the afternoon. We alerted police and local news stations, who sent squad cars and mobile television stations to monitor the event. As evening wore on, greater numbers of ticketholders began to arrive, the line stretching down the block. President of the Detroit chapter Andrea Potti (a.k.a. Jex Blackmore) also made a brief showing. We brought our six-foot bronze statue of St. Michael, who normally rests in our Abp. Fulton J. Sheen studio, as a counterwitness to the blasphemous goat-headed statue of Baphomet, meant to represent Satan. According to Scripture, St. Michael is the angel who did battle against Lucifer and cast him out of Heaven into the Abyss. Staff were able to enter the building, and amidst the largely empty room observed a naked woman on a central platform, flanked by an obese naked couple on the floor. But the original venue turned out to be a ruse. On entry, ticketholders were instructed to drive to a parking lot on the corner of Chene and Franklin 15 minutes away, where a woman in a red scarf would check their tickets and direct them to the actual location: the Lauhoff Corporation building next to Chene Park in the Rivertown Warehouse District. Our crew found the location, and several of our staff gained entry into the building, where a loud party was in full swing. An earlier downpour had come through the roof and flooded the dance floor, and approximately 100 people milled around the dark, smoke-filled room. As the rain ceased, more people trickled in, and towards midnight the number went up to about 400. On one side of the room stood an inverted red cross, and on the other the nine-foot-tall statue of Baphomet, covered in a white sheet. The organizers announced the unveiling would take place at 11 p.m., and ChurchMilitant.com obtained photographs of the event. I agree that by signing this document under any name, given or adopted, actual or pseudonymous, I am hereby avowing my soul to Satan (aka Abbadon, aka Lucifer, aka Beelzebub, aka The Antichrist). I do so knowing that He (aka The Fallen One, aka The Father of Lies) or any of His representatives may choose to collect my eternal soul at any time, with or without notice. I understand that my signature or mark representing any name, real or made up, upon these papers constitutes a lasting and eternal contract, and that there will be no further negotiations on the matter of my eternal soul. Sodom & Gomorrah Documentary. TRUE STORY. FOR PART 2 OF THIS documentarie CLICK HERE http://youtu.be/Ab7VfwC2HTE In this documentary Simon’s team return to Sodom and Gomorrah for a closer look. They also search for Admah and Zoar the surrounding towns. So, Planned Parenthood thinks CPM has video of at least two of its conferences as well as PP staff dissecting babies for organs, expressing a preference for black babies, sniffing – if not taking – the bait on large kickbacks for baby parts, admitting (which has already happened twice) to illegally manipulating abortions to retrieve intact organs and body parts, and much, much, much more about which it has no idea. “The Satanic Temple is set to unveil its controversial goat-headed Baphomet sculpture at an undisclosed location in Detroit on Saturday night. The event, open to prepaid ticket holders only, is advertised as the largest public satanic ceremony in history. According to the Satanic Temple, the 1-ton, nearly 9-foot-tall bronze idol will be unveiled only in Detroit. Ultimately, the group hopes to have it placed permanently next to a sculpture of the Ten Commandments monument now in place near a state courthouse in Oklahoma City, Oklahoma, or outside Arkansas’ Statehouse in Little Rock, where a Ten Commandments monument also is planned. The Satanic Temple’s co-founder, Lucien Greaves, has said the Baphomet statue will not remain in Detroit. Put this on full screen so you can see it better. There is the rest of the story at this link.